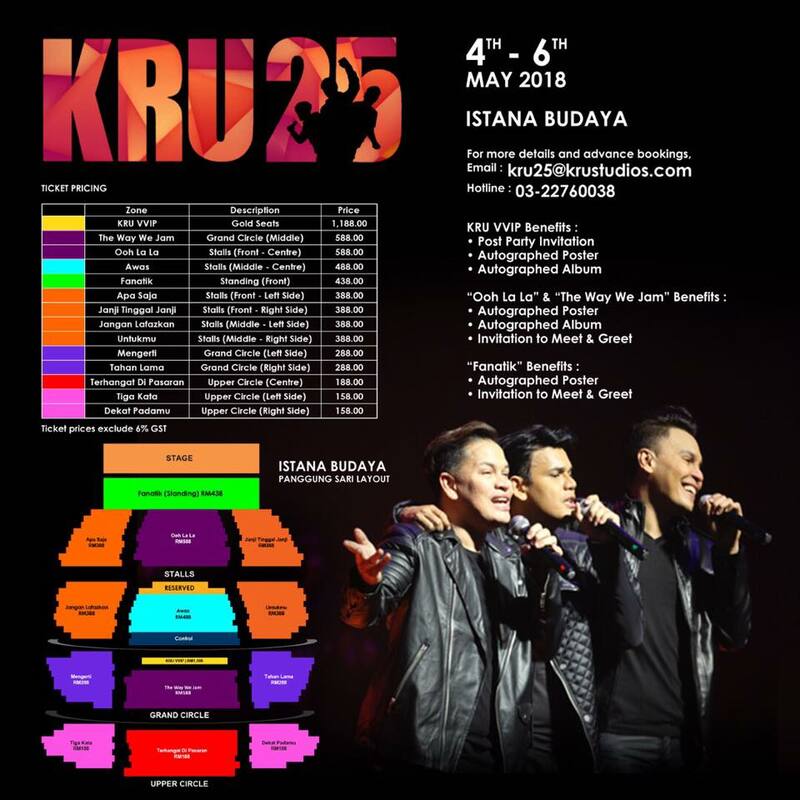 After kicking off their 25th anniversary in Singapore last year, Malaysia’s top local boy band KRU is finally holding a concert in their very own home country next year! The boy band which made up of brothers, Norman, Yusry and Edry, made the announcement via their official Facebook today. Titled as “KRU25”, the concert will be a three-day affair, set to be held from 4 to 6 March 2018 at Istana Budaya, Kuala Lumpur. “The location selected suits the concept of our performance. Additionally, the stage, sound system and lighting have been upgraded, thus the exclusive atmosphere at Istana Budaya will bring comfort to the audience during the two-hour concert,” Dato’ Norman Abdul Halim said in a statement. “Although KRU25 will take place seven months from now, we decided to announce the date early as many fans have been waiting for so long. This is also to ensure that fans living outside of Klang Valley as well as overseas can make early arrangement,” he concluded. 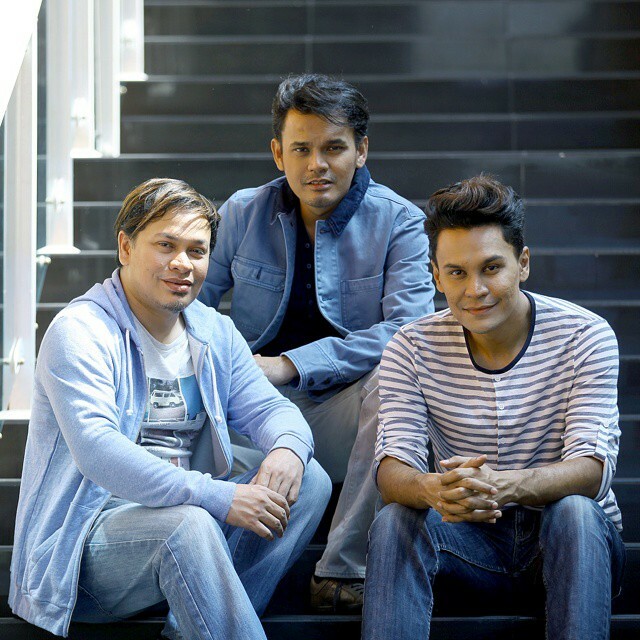 Debuted in 1992, KRU is known to be one of the groups that revolutionised the Malaysian music scene with their unique blend of pop, R&B and hip hop. Apart from music, the brothers also ventured into filmmaking business via their entertainment company KRU Studios which has produced a number of Malay and English language films including “Cicak-Man”, “Duyung”, “Magika”, “Ribbit” and the upcoming “Wheely”. Their music label KRU Music has launched the careers of several popular local artistes including Elite, MOJO, Forteen, Caliph Buskers, and also the sensational Dato Seri Vida! Known for many of their 90s hits like “Awas”, “Ooh! La! 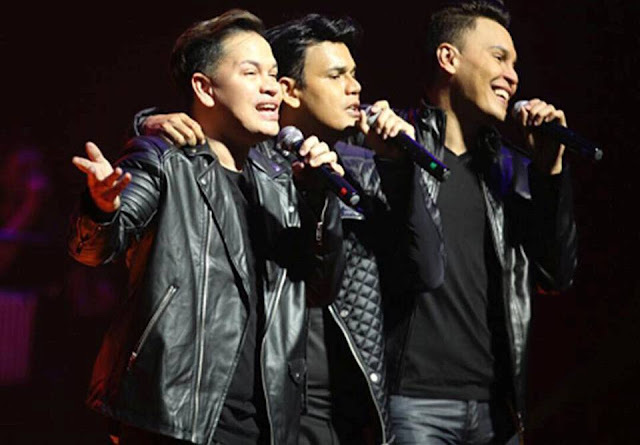 La!”, “Fanatik”, “Jangan Lafazkan”, and more, fans of the trio of brothers can expect a good time and nostalgia at their upcoming “KRU25”. Ticket price ranges from RM158 to RM1,188. The tickets can be booked through hotline 03-22760038 and email kru25@krustudios.com, starting today.